God has been dealing with me lately about friendships. And I don’t mean casual friendships. I’m not even talking about close friends. I am talking about the kind of relationship that makes a person family. A friendship where the blood of Christ makes you sisters. The kind of friendships I think we all desire to have. I’ve been wondering why God would have me share so much lately about friendship (or rather the unexplainable sisterhood thru Jesus) here where the focus is marriage. It is simple but yet complex … we need those kind of relationships to grow. We need those kind of relationships to turn us back to Jesus during hard times. We need them during hard times in our marriages to turn us back to our husbands. God has been dealing with me about this because I (and many of you) have been hurt by friends in the past. The thing with those past hurts is that we usually don’t leave them in the past. Almost 2 years ago God led me to an incredible Bible Study group full of Jesus Loving, Holy Spirit Filled, Devil Stompin’, Lay it at His feet ladies. They have blessed my life more than I could ever put into words. YET… I still had reservations… doubts… because of past hurts. I did not…. do not…. want a repeat of the pain I felt before. I had already given forgiveness and I am not bitter. And I really don’t think about the past hurts. So what was my problem? I didn’t think I had one until God decided it was time to stir the pot. Time to deal with the gunk at the bottom. The stuff that you can’t see once everything settles. I have friends… but God wanted me to not only have them but trust them. And not just trust them but trust them fully. Once I surrendered to God… and was honest with myself about how I approach friendships. He was quick to show me that, while I was sitting here doubting a friend who had given me no reason to doubt them, I was putting my past hurts on my present friends. Friends who have given me no reason not to trust them or give them the benefit of the doubt. Friends who have gone to battle with me at the feet of Jesus. Friends who have done nothing but Love on me and pray for me. I was still telling God that these friendships were “as good as they could get” but I wasn’t satisfied and God knew my heart. I got frustrated and I was pushing back against the thing I wanted… deeper friendships… covered in the blood. I told Him the friendships had reached their peak. I didn’t want to push it…and put too much in the friendships and lose something I treasured… again. He didn’t give up on me. He never gives up on me. He won’t give up on you either. After much stubbornness He made me realize that they had peaked because of me… not them. That I was the one putting old hurts ON them. I was the one second guessing their actions and motives because of something someone else did… NOT them. And that my pain was in the past NOT the present. I was the one pushing back against God when He was trying to give me what I wanted. That was the gunk at the bottom of my pot. A friend in college used to tell me that I refreshed others like in verse 25. She actually called me a “downy sheet”. However, after being let down and hurt by friends my walls went up. Again, God knew my heart. Since He has placed me in this Holy Sisterhood the walls have come down and I feel like a “downy sheet” again. Each time I have given freely in these new friendships God has been faithful and these friendships have prospered. I am able to refresh others again. That was difficult to do behind the walls I had built. If I have learned one thing from being in this group it is that it scares the devil when women gather to pray. When we press in to God together of course he is going to try and bring division and isolation… and walls. He knows that something special happens when we stand in agreement with each other and declare that our pains and hurts are nailed to the cross and it is finished. In the end it is about walking in freedom with God first so we can then walk in freedom in our friendships and bring Him glory. Rejection often finds its way into our hearts at an early age. 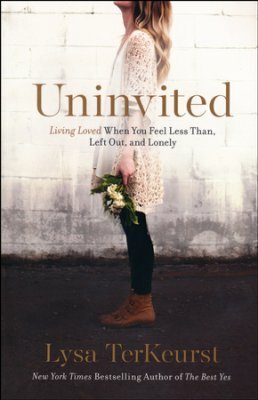 Perhaps as a child you were teased mercilessly for your hair or clothes, or you received an injury and couldn’t play the sport you loved and had to watch from the sidelines, or maybe like Lysa TerKeurst, an adult who should have cared for you and nurtured you, left without explanation. These wounds dig deep into our sense of self, and can resurface in surprising ways as an adult. However, this doesn’t have to be the end of the story. 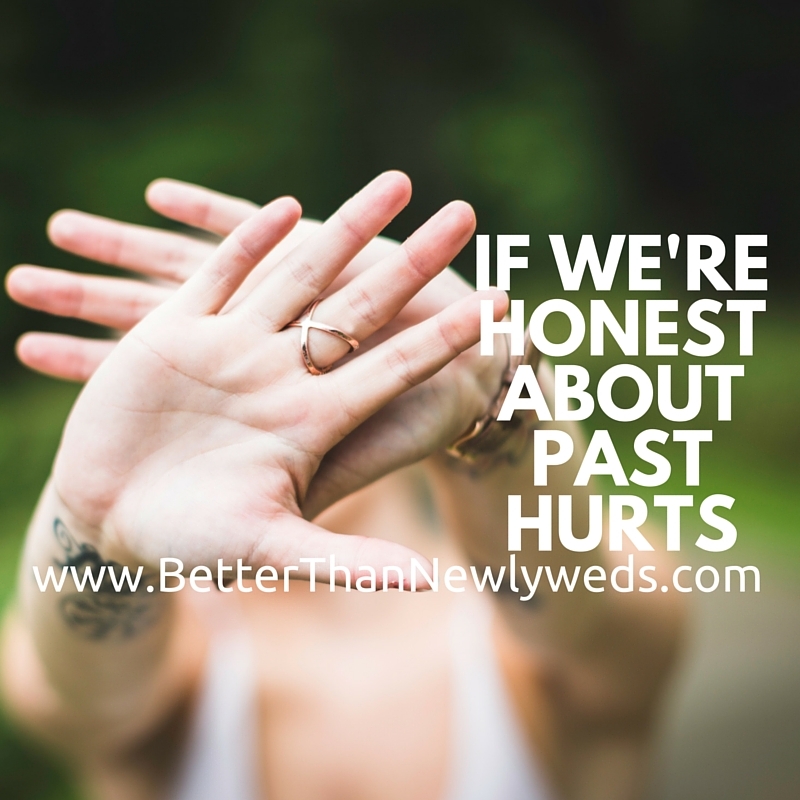 Trusting again…that’s some scary stuff especially when you’ve been wounded by someone you purposefully let into your life. Leaders have a lot to lose when trust is broken by someone called friend. But good things happen when we let down the walls and find that God has wonderful people read to pour into our empty spaces. It certainly does honor him when we’re united and serving one another! yes trusting again is scary… but I’ve come to the point in my life where it is scarier to face life without my sisters in Christ at my side! Being hurt by people we love and trust stinks… but God can give us new friendships/sisterhoods. He can even redeem those broken friendships… if it’s His will AND if we let Him! Thanks so much for reading! Your comment means a lot and I am so glad to know my post touched you! Oh, this post! This is ME! I have been hurt, I have forgiven and I am not bitter anymore BUT the wounds and the past hurt have built up walls that keep me quite guarded in many situations. Piece by piece God is dismantling the walls. I think Satan must LOVE the way being hurt by people we trust can cripple us. Great post, thanks for sharing.